Hello and welcome. I am Dr George Lundberg and this is At Large at Medscape. September is “be kind to addicts” month. Addiction is no laughing matter. Once chemical addiction is well established, it is probably lifelong. Thus, prevention is the key. Maximum education, parental and societal authority, law, and culture should make an effort to delay the introduction of potentially addicting substances into American youth as long as possible. The more mature a brain becomes, the less likely it will respond to exposure with lifelong addiction. It has been a rather interesting winter in the Antipodes – to say the least! 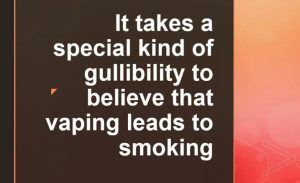 Australian TC and their groupies have tried, and thus far, succeeded in preventing not only the legalization of nicotine containing e-liquid, but have also managed to make it clear they do not wish to entertain the thought through open discourse, through transparency and logical assessment of the science regarding the subject. Not surprised, to be honest, but extremely disappointing that those who are mandated to prevent harm are, in fact, causing it. People with drug and alcohol dependence have high smoking rates and greater difficulty quitting than other smokers. They are more likely to die from a tobacco-related disease than from their primary drug problem. 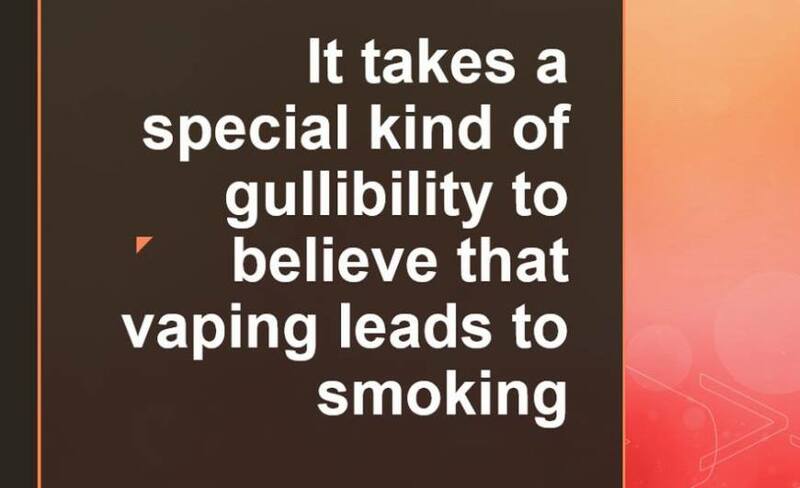 Electronic cigarettes (E-cigarettes) are battery-operated devices that heat a liquid solution, which may or may not contain nicotine into a vapour for inhalation, simulating the behavioural and sensory aspects of smoking, and they are currently seen as a legitimate form of tobacco harm reduction. The Secretariat of the WHO Framework Convention on Tobacco Control (WHO FCTC) notes the launch of the Foundation for a Smoke-Free World, led by a former official of the World Health Organization. The Convention Secretariat regards this tobacco industry-funded initiative as a clear attempt to breach the WHO FCTC by interfering in public policy. It is a deeply alarming development aimed at damaging the treaty’s implementation, particularly through the Foundation’s contentious research programmes. Sept. 30 deadline: how many e-liquid brands will disappear? E-liquid and vape device manufacturers are racing to complete a task that will determine whether they’re able to remain in business. And it’s possible that hundreds or even thousands don’t even understand what lies ahead. The deadline for all e-liquid and device manufacturers to register their establishments and provide a listing of products is Sept. 30. A new report by a U.S. government agency says that their tests showed that levels of “vaping-related chemicals” in the air of a vape shop were all below workplace safety limits. The National Institute for Occupational Safety and Health (NIOSH) issued the report — titled “Evaluation of Chemical Exposures at a Vape Shop” — in July, but the testing took place in January of 2016. The shop isn’t named in the report. At the end of July, the Food and Drug Administration (FDA) in the United States did something remarkable — even revolutionary. They decided to behave in a rational way about nicotine by embracing a sensible “harm-reduction” approach. Canada would do well to follow. Instead, Canada has been focused on “risk aversion” where nicotine is concerned — and such a stance, ironically, protects the cigarette trade. In early September, Dr. Jerome Adams, former Indiana State Health Commissioner, was sworn in as the nation’s 20th Surgeon General. As Commissioner, Adams was celebrated for establishing a needle exchange program, Indiana’s first, in response to an outbreak of HIV caused by needle sharing among abusers of a prescription opioid called Opana. Having established his bona fides in harm reduction in the context of opioids, Adams must now apply them to nicotine. Istanbul police raided a restaurant in the central Beyoğlu neighborhood on Monday night where an electronic cigarette company was holding a promotion party. A new report says the World Health Organization’s anti-tobacco effort has adopted a “quit or die” approach to stopping smoking, and that its efforts to reduce tobacco consumption have instead fostered a growing black market in tobacco products. Our data suggest that characteristics of ENDS products, including flavours, may induce inhalation toxicity. Therefore, ENDS users should use the products with caution until more comprehensive studies are performed.